A school door closes, an apartment door opens? I walked past the corner of Saranac & Hertel yesterday evening. Lloyds Taco Truck was serving a healthy line of people and there were a few small groups gathered on the St. Margaret’s School grounds eating, picnic style. It was nice to see some activity in the shadow of a huge, empty building. Sadly, the purpose for my walk wasn’t for Tricked-Out Nachos, but to attend a town hall meeting held for parishioners of St. Margaret’s Church to discuss the future of a piece of their property they are struggling to keep viable. 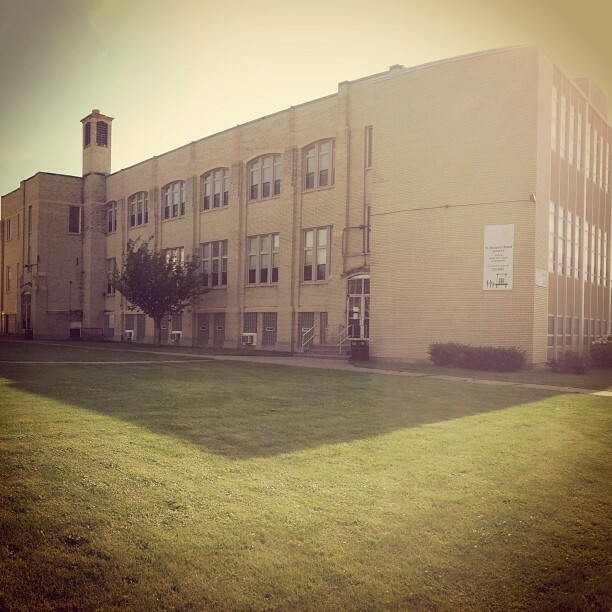 If you weren’t aware, the catholic elementary school that sits in the heart of the burgeoning Hertel Avenue district closed in 2012 and the building now joins the neighboring convent in dormancy. Large, empty structures are surely not uncommon in Buffalo, but now more than ever we’re seeing thoughtful renovation and reuse in the city. Not surprisingly, a similar opportunity lies in waiting here. Iskalo Development Corp., a proven developer that focuses on redevelopment and revitalization of established neighborhoods, has made an offer to buy the property, keep the buildings standing, and convert them into 30 high-end apartments, along with adding 42 parking spaces for the tenants. The parish council shared full details of the proposal, included the financial considerations of the church, and offered a number of very personal and sentimental opinions – all in full support. It was clear that this situation was not taken lightly. It was also clear that they realized this opportunity could be a Godsend (pun intended). However, despite being presented what I saw as a no-brainer, there was a wary, almost reluctant sentiment displayed by the 60+ people in attendance. A barrage of questions (and gripes) followed the presentation. Understandably, people that attended the school and have come to know it only as a school over the past half century didn’t want to just say goodbye without a bit of a debate. But I think deep down everyone knew it was the right thing to do. Proceeds will enable St. Margaret’s Church to satisfy some significant upcoming financial obligations owed to the diocese, afford them the opportunity to make some repairs and cosmetic improvements to the property, and have a long sought after emergency fund. Ongoing maintenance and utility bills of the two buildings will no longer be a liability to the church. The general appearance of the structures remain, and the existing church parking lots would be unaffected. Empty buildings become active again, and the property that was designed like a small campus can return to its previous vibrancy. 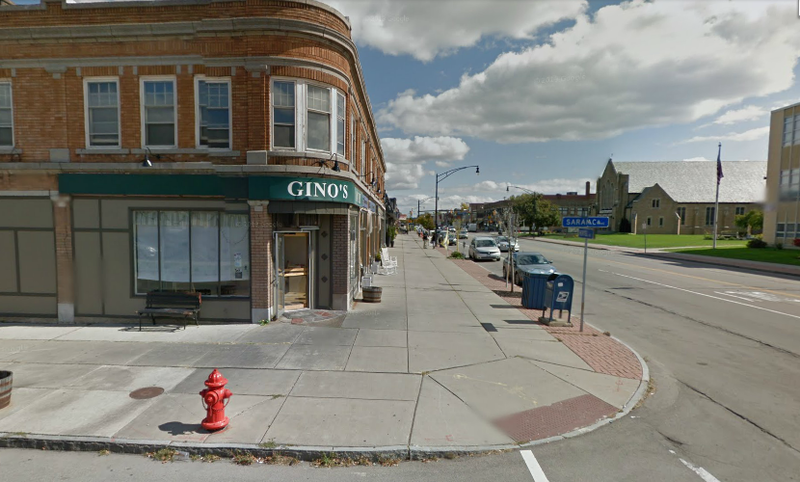 Inventory of residential units in high demand in North Buffalo will be added, bringing even more life (and likely, youth) to a neighborhood on the rise. True economic impact. These buildings will go back on the city tax roll. And more residential means more foot traffic on the streets, more shopping in the stores, more tables filled at the restaurants. 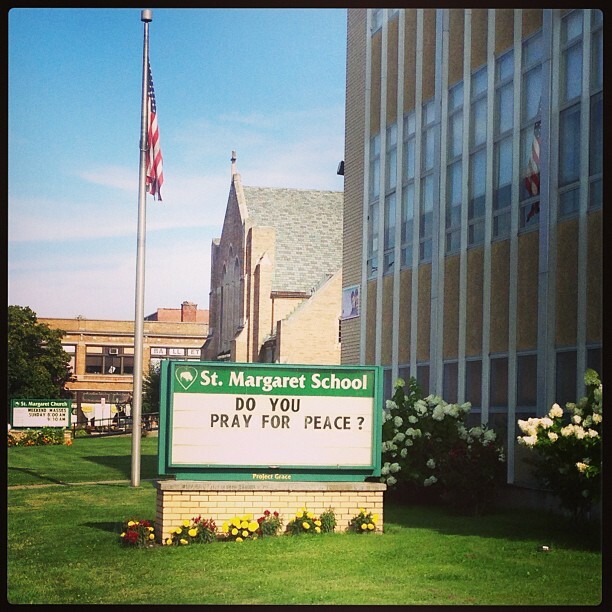 And maybe, just maybe, a few of the new apartment residents become parishioners of St. Margaret’s. The parish will need to find new space to hold meetings and gatherings (the reply of the council offered the rectory space as well as the available halls at Holy Spirit). Any consideration of reopening or reusing the school permanently goes away (noting, commercial reuse isn’t really an option as the parish would lose their tax exempt status if they were to charge for activities unrelated to their religious mission). A handful of residents (about seven houses) on the small Saranac South block would see increased car traffic. A sentimental landmark to many will forever be changed. In my opinion, not much in the way of cons. For those that know me, they know that often I can’t withhold comment. So I spoke up once everyone said what they had to say. I am 100% in favor of the sale and proposed plans and I applaud the parish council for their extensive due diligence and for giving residents a voice in the discussion. I am also thrilled with the plans and extremely fair offer from Iskalo. In this case, it’s more than just rehabbing a few empty buildings. It’s about restoring the vitality of a church community. A huge blessing could be bestowed upon us…that is, if we don’t get in the way. Leave the money. 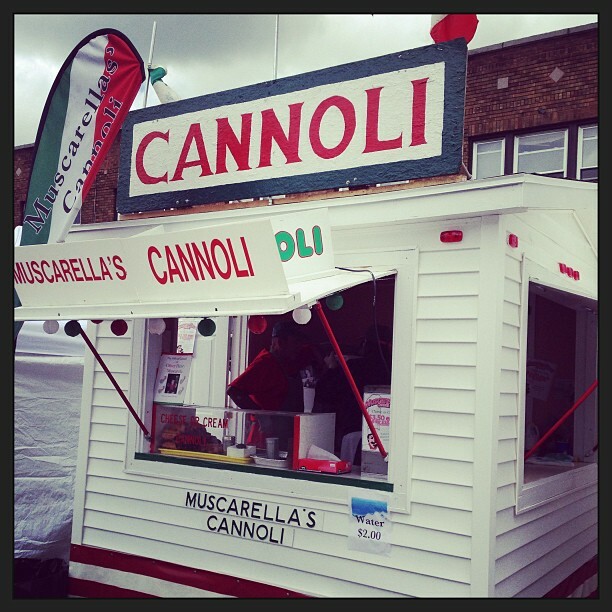 Take the cannoli. This time of year makes me so very happy. 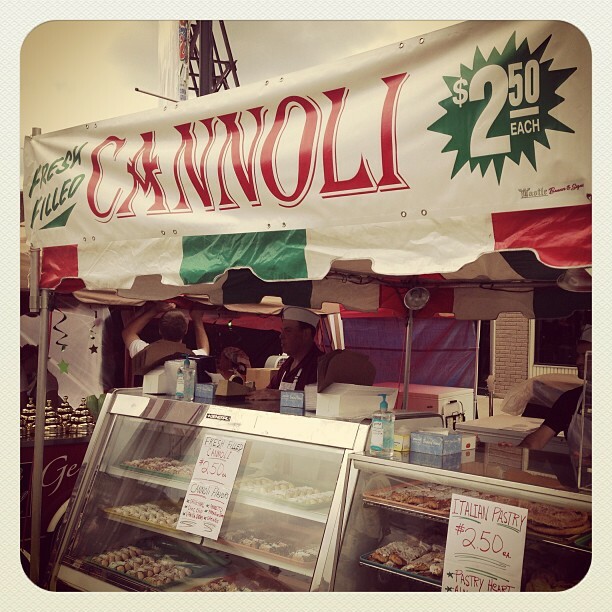 Not only do I get a hall pass from Karen to say things like “Che se dice?” and “Mia famiglia!” in my loud, overly exaggerated Cake Boss Italian accent, I get to repeatedly wander down to Hertel Avenue to cruise the Italian Fest for cannoli upon cannoli. So because EVERYONE loves them, I’ve taken the liberty to give you everything you need to know about the cannoli offering this year – from price, to location, to the most important taste factor. 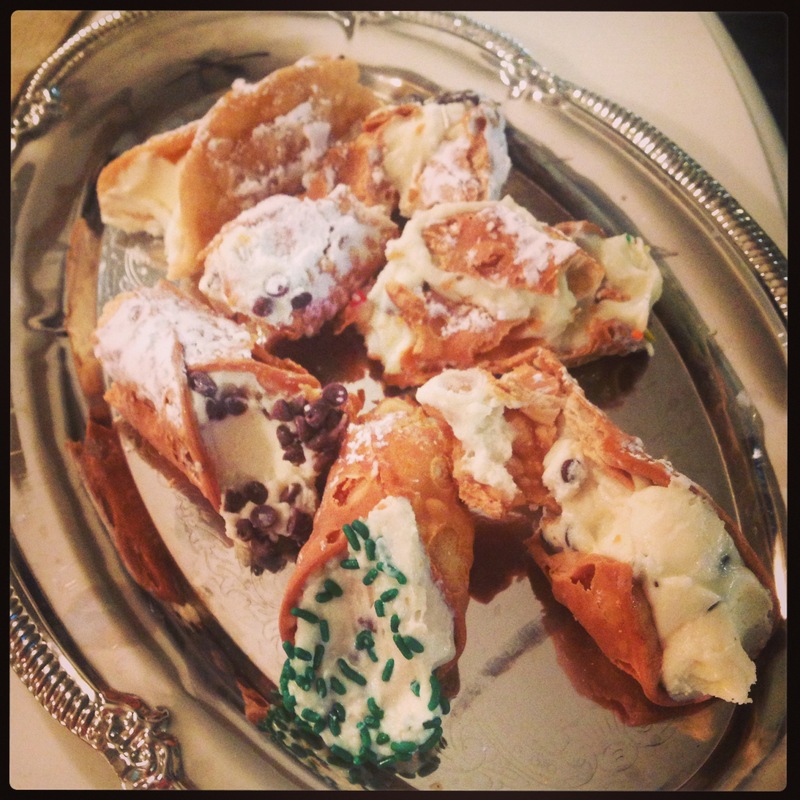 But let me point out that only ricotta filled cannoli are under consideration. Any substitute for that is un-Italian and just plain wrong. 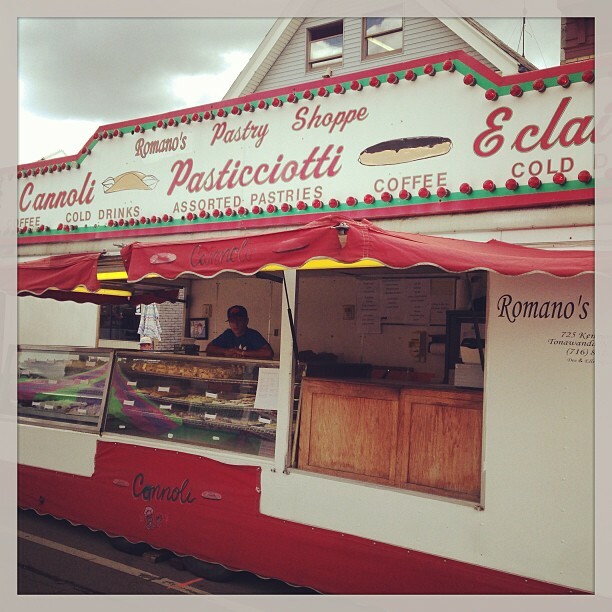 Here’s the cannoli vendor lineup, in no particular order. Tombak’s: The bakery got its start in the Broadway Market and now serves the local farmer’s market scene. One location near Commonwealth boasts six varieties and the least expensive cannoli on the street at $2.50. Slightly thin filling but very tasty! 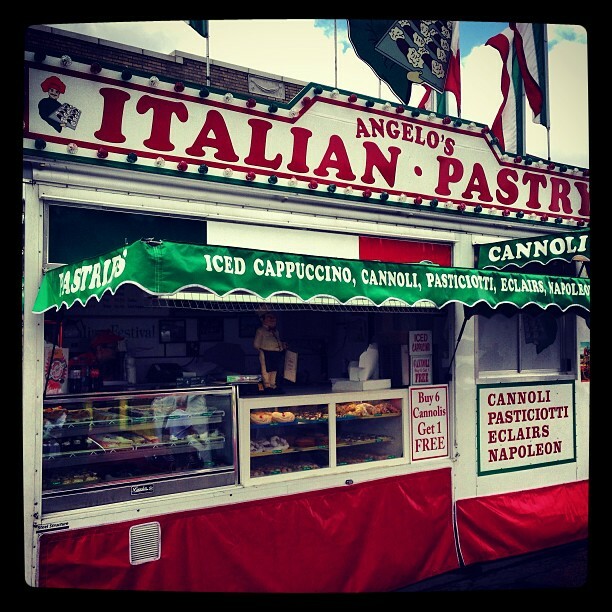 Angelo’s: Very sweet filling. They also made the daring move from chocolate chips to rainbow sprinkles to serve as the garnish to the tube ends. $3.50 each or buy six get one free. 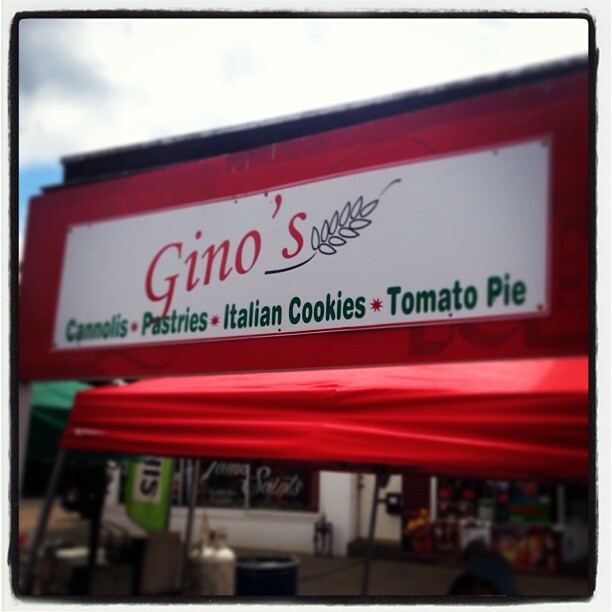 Three locations throughout the thoroughfare, I bought from the one in front of Daddio’s Pizza. Romano’s: Filled directly from the pastry bag right in front of me, this $3.50 cannoli was as fresh as they come. It also had great texture and consistency, something I found to be inconsistent across the vendors.Two shops between Crestwood and Lovering, I chose the one in front of Top Shelf Music. Also serving up the buy six get one free deal. Gino’s: Priced at a whopping $4, I was expecting a foot long and got a cocktail wienie. In trying to be fair and objective, I just can’t see how this one could command the fest’s highest price. The pastry shell may have been undercooked and overall the cannoli was just rather bland. One location at Virgil Ave.
Muscarella’s: Not to be confused with Muscoreil’s in Tonawanda. Their Italian confection had somewhat of a frozen yogurt texture to it, but I was happy to see chocolate chips right in the filling. Green sprinkles gave it some flair. $3.50 in front of Caruso’s Italian Imports. Buy six get one free available too. 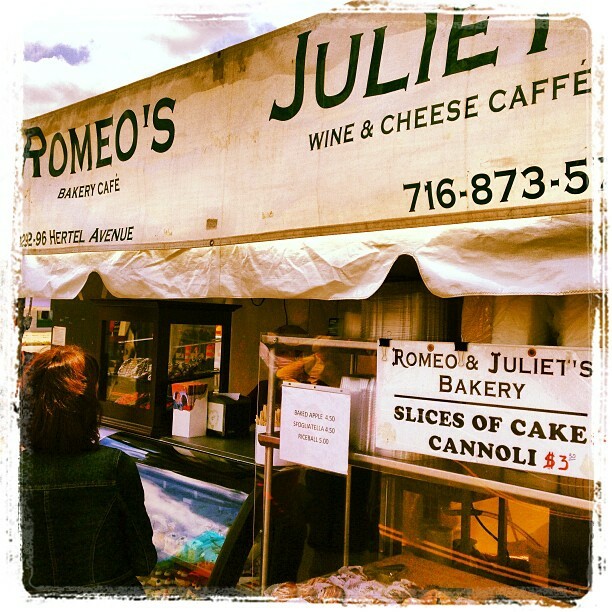 Romeo & Juliet’s: Kitty-corner to their actual restaurant at Hertel and Crestwood, their $3.50 cannoli probably has the most distinct, amaretto, flavor of them all. A thinner filling as well, but the real story here is the amaretto. Romano’s provided just a perfect amount of crunch in a delicious shell, a desirable consistency, and overall great flavor. And to top it off, the baker’s Italian accent was as authentic as the cannoli too. Buon appetito!